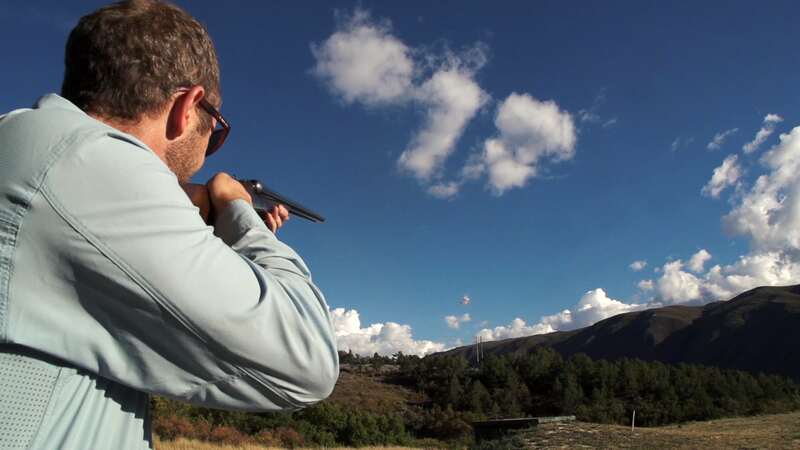 Aspen Outfitting Company is the Aspen area’s only NSCA Certified shooting school, offering clay target shooting and tactical pistol shooting activities for individuals of ALL experience levels. Clay target shooting makes for a great day of focused time to hone your skills, or can be great fun for those competitive families (moms usually win!) Jokingly known as “golf with guns,” clay target shooting is quickly becoming a popular option for our guests. At Aspen Outfitting Company, we take great pride in introducing hundreds of people to this engaging and entertaining sport each year. Whether you are a complete beginner or an accomplished shooter, our main priorities are always to promote a healthy respect for firearms and to emphasize the practice of safe gun handling at all times. A great option for beginners and seasoned shooters alike, our NRA and NSCA certified instructors help you elevate your shooting skills to the next level. Our staff of instructors is available for individual and group outings year-round. Our four-hour guided shooting trips include all transportation to and from our private shooting facility, located just 15 miles from downtown Aspen. All trips depart from our shop in downtown Aspen at either 8am or 1pm, and transportation is provided. Let us know where you are staying – we are always happy to pick you up from wherever your accommodations might be. Once we arrive at our private facility after a short scenic drive, your shooting instructor will go over the basics of gun safety and handling. We’ll then find the perfect gun to fit you, and your instructor will help coach you on form and technique to have you shooting clays out of the sky in no time!